Most dentists have a license with the DEA to prescribe medications related to the work they do. The most commonly-prescribed drugs are antibiotics, but next on the list are medications to control pain, or analgesics. Included in the list of analgesics are the common over-the-counter types such as ibuprofen (Advil) or acetaminophen (Tylenol), but sometimes these are mixed with an opioid such as hydrocodone or oxycodone to give them a little extra ‘kick’. Any medication will have its primary, or ‘desired’, effect, but they all have secondary, or ‘side’, effects as well. Often these side effects are minor and manageable, but the side-effect profile of opioids is different. While helpful in controlling pain, opioids are also known for creating a euphoric feeling in the user. While at first blush this might not seem all that bad, the euphoric effect can become addictive, and as time goes on, more and harder drugs are required to achieve it, often causing the sufferer to do anything to get it. So if opioids are such a problem, why are we still prescribing them? The simple answer is, for severe pain, we just don’t have anything better. All prescribers are trained in the dangers and judicious use of opioids, but often they’re given out routinely, even when not warranted, and in excessive quantities. In fact, numerous studies have shown that the best medication for mild to moderate pain is ibuprofen. Yep, regular old Advil. Opioids can help with an extra boost for severe pain, but in the vast majority of situations, Advil (or Motrin or one of the generics) is all you need. No doubt you’ve heard about the ‘opioid crisis’ that is ravaging parts of America. With all the other illegal drug choices out there, you may wonder why someone’s pain medication is suddenly such a problem. Hard drugs can be expensive, hard to come by, and have a dangerous reputation, but oxycodone might be sitting right in the home medicine cabinet. And after all, it’s just pain medication, right? Opioids are derived from the resin of the opium poppy; in other words, they’re all chemically-modified versions of heroin. Those facing addictions tend to move up the ladder of whatever they’re abusing: alcoholics move from beer to liquor, gamblers move from casinos to online, and opioid abusers move from Vicodin or Percocet to morphine, fentanyl, and heroin. 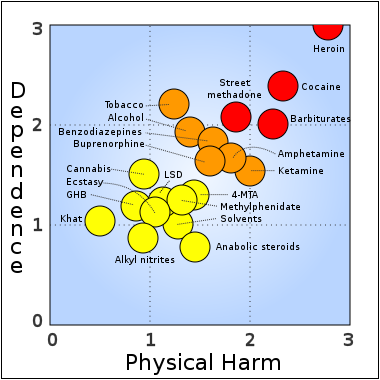 And when it comes to ranking dangerous drugs, heroin is king. It has the highest addiction potential and causes more health damage than anything else out there. Health effects include nausea, cognitive impairment, constipation, respiratory depression, coma, and brain damage. You may be wondering “This sounds like a medical problem, why is a dentist telling me this?” It turns out that dentists are responsible for roughly 12% of all opioid prescriptions in the US, and dentists (and oral surgeons) are the top prescriber of opioids for patients under age 19, often related to wisdom tooth extractions. Therefore the DEA and other governmental bodies are appealing to all healthcare providers to be much more selective in their prescribing habits. In the future, expect your providers to ask more questions and prescribe opioid pain medications in smaller quantities. In situations where one might expect to get a prescription for Vicodin or Percocet, your provider may just recommend an over-the-counter product. Finally, if you have any unused pain medication sitting around in your house, take it to the nearest sheriff’s office for disposal. For more information, in Washington County visit www.co.washington.mn.us/meds. For some, an experience with opioids can become the ultimate toxic relationship. They start out as a friend by providing pain relief, then comes the addiction, and eventually they can ruin one’s life, or even end it. While opioids can be helpful, they are definitely not your friend. Just like the axiom pertaining to fire, they make a good servant but a terrible master.